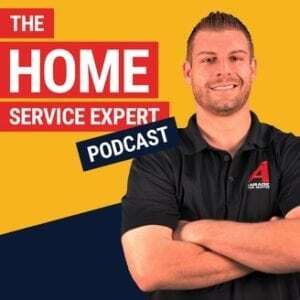 Welcome to the home service expert where each week Tommy chats with world class entrepreneurs and experts in various fields like marketing, sales, hiring, and leadership to find out what’s really behind their success in business. Now, your host, the home service millionaire Tommy Mello. Thank you for tuning in today to the Home Service Expert and today is a subject I’m really excited about. Some of you might get bored by it but it’s so important that you tune in because the subject is taxes. We all hate taxes but most of us don’t even realize that we’re going to pay Uncle Sam more than 50% of everything we make so I’m really glad you tuned in today. Listen, we’re going be interviewing Craig Cody. Craig Cody is a Certified Public Accountant, Certified Tax Coach, business owner and former New York City police officer with over 17 years experience on the force. Bravo. Yeah, you know, a lot of people don’t realize that they pay so much money to Uncle Sam and there’s so many things that someone like you can help with. I think this might be the most important thing that people don’t even think about is getting setup to build a business to sell, not only to sell, but to even talk about what they’re going do, how they’re going to tax plan, how they’re going to save money because they pay Uncle Sam so much money, why not put that money back in your pocket? You know, I’m really, really excited for this episode. You know, you were a police officer for 17 years and then you went into accounting. Tell me a little bit about that. Oh, God. I had a great run in the New York City police department. It was time to move on. I really liked taxes and I actually thought I was going go into financial planning because … and use really the CPA to set myself apart, but the more I worked in the tax area the more I realized how much I like this and how exciting it could be. I know, yeah, you’re talking to a guy with a pocket protector and he’s talking about being excited, but when you sit there and you show somebody, “Hey, I can save you $20, $30, $40,000,” that’s exciting. Yeah, it is. It is. It’s amazing how much money guys like you can save us business owners in the home service niche. What have you learned … 17 years as a New York cop and now you’re in accounting. Is there anything that you brought from those years in the force with you? Yes, I think the ability to be able to communicate with people, which as a cop I worked where I was dealing with CEOs to where I was dealing with people on the lower end of the socioeconomic spectrum and you had to be able to communicate with them. Over time you learn how to do that pretty good. Taking that and bringing it into the accounting field and being able to communicate something that, for a lot of people, can kind of create that glazed over effect has really been very helpful. Perfect. I’m going to dive right into the main sections of what … there’s so many things that we need to talk about today. What’s the biggest mistake that you see small business owners make, you know, from the way they get setup when they go into business, to just the normal mistakes we make when we really just don’t know enough about tax law and strategy? Well, the biggest mistake people make is failing to plan. They’re going to buy a truck, they’re going to look into the truck and they’re going look at ratings, and they’ll see how it works best for their business, but when it comes to taxes people kind of look at it as an expense item and then they don’t want to do any planning, and they wind up costing themselves a lot of money. Well, just like when they set the business up. How did they decide whether they were going to be a sole proprietor, or a corporation, an LLC? They probably just went to the attorney and he says, “Okay, let’s make you an LLC or make you a corporation.” There was no real planning why are we doing it? What are the benefits? So you got a Limited Liability Company and then I see most small business, especially in the home service niche, it’s affordable. It ranges from $300 to I’ve seen thousands of dollars for that. Tell me a little bit about the differences. I’m pretty familiar with all those terms but if it was my first day getting in the business and I was sitting down with a lawyer and a CPA, let’s talk about some of the advantages of an LLC, or an S Corp, or filing as an LLC but doing your taxes as an S Corp, which is something that I do. Let’s go into each of those and explain, or a C Corp, or a partnership. Let’s just go through these. Right, so you have your sole proprietor which is basically you go down to the county clerk and you get a DBA, and you’re in business as Joe’s Trucking Service. And you’re ready to go. Basically you have your income, you have your expenses, and then you have your net income and everything is subject to self employment tax. Then we have the LLC, which is very common. That is typically setup because in most states gives you the best liability protection. The attorney will say, “Let’s do an LLC.” An LLC works similar to a sole proprietor whereas you have your income, you have your expenses, and all of the netted income is subject to self-employment tax. That could get a little expensive sometimes depending on your specific circumstances. Then we have the S Corporation, which is basically you take a salary and your salary’s subject to self-employment tax and income tax, but everything in excess of your salary, all the profit flows through on a K-1 and is just subject to regular incomes tax. There are times when you could potentially save money as an S Corporation provided you’re taking reasonable compensation. Then we have the rarest of them all is the C Corporation, which is like a separate person. The C Corporation pays tax at its own level and then typically the owner is paid in salary and/or a dividend, but dividends are double tax so it’s not really the most efficient way to go as your primary vehicle to hold your entity in. I’ve heard a CPA once told me, he said, “If I were you, Tommy, I’d have a shell. I’d have your payroll company as a C Corp, I’d have you as an S Corp, which is just you elect to do your LLC as an S Corp, and then you have your trucks on another business, and then your apartment complex that you use you’d have that on another entity for liability reasons.” Does that make any sense or is that just a bunch of mumbo? No, no. I mean, obviously having your trucks in a separate entity is always a good think, okay. Unfortunately for probably a large portion of the small business owners out there it doesn’t make sense for them when you talk about record keeping, and extra tax returns, et cetera. When they’ve actually gotten to the point where they’ve really made it then it makes sense. Properties like such as apartment complexes, I’m a believer they should always be in separate entities. We work with C Corporations a lot of times, not necessarily the way the professional was talking about, but that’s a planning technique we use working with C Corporations because the owner’s allowed to write off a lot of his benefits inside of a C Corporation that he would not be able to get on an S Corporation. There are also certain, what we call, controlled group rules that you have to be careful of that you don’t want to go astray of when you’re working with a C Corporation and let’s just say your S Corporation. It’s definitely an advanced strategy and when done it needs to be done correctly. YOU SHOULD REVIEW THE THE NEW TAX LAW CHANGES WITH YOUR CPA BEFORE IMPLEMENTING ANY TAX PLANNING STRATEGIES.